The Pacific Hoist DrumGrab™ is a unique Australian designed device which offers a safe, easy and reliable way to shift, lift and manoeuvre most 205 litre drums. 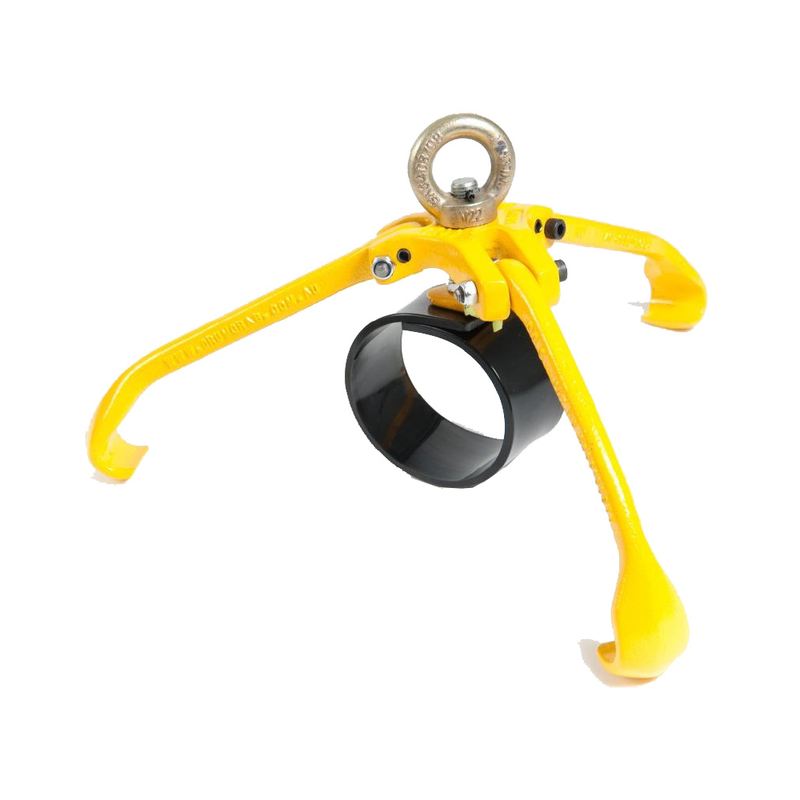 It is self-centering, fast and easy to lock on and will only come off when required. It fits to most lifting devices and has a rated capacity of 1 Tonne. DrumGrab™ is an efficient method of drum handling which prevents injuries and spills and will make the job easy. • Complies with the Australian standard AS4991. • Fits to almost all plastic and steel 205 litre drums with lids fitted, which have a rim. • Capable of extracting a drum from the middle of a cluster without affecting the other drums. • Cast, using high quality ductile iron; conformed to Australian standards (S.G. Iron 500/7 to AS1831) which is powder coated in safety yellow. • Holds up to 1 tonne easily. • Prevents injuries and spills.